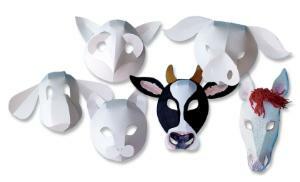 Create Sensational Three Dimensional Animal Masks! Take an art safari with these inexpensive and easy to assemble masks. Decorate with paint, crayons or markers. Includes teacher guide. 30/pkg.